Draw a line in the middle of the red packet. Draw the tail and cut. Cut a small square as the mouth too. 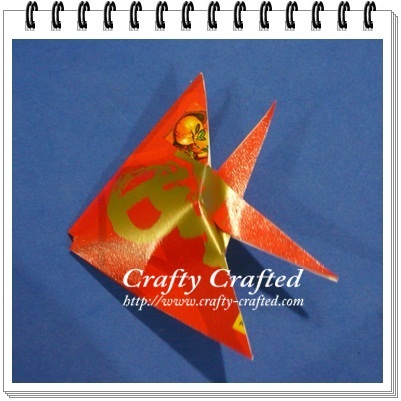 merryn..this is the only origami i know how to do.. i used to do this many years back when my hubby was still around.. now my house never been decorated like this again.. Thank you for sharing, Merryn.